The second story we’d like to share with you for National Storytelling Week is Freya’s. Freya takes part in our annual Midnight Walk in memory of her Grandad, who was cared for by St Catherine’s. 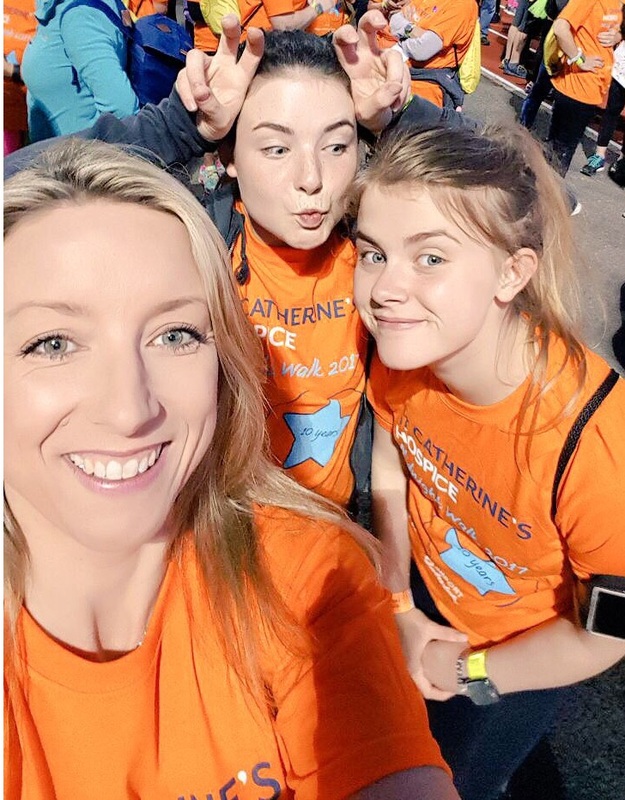 “I heard about St Catherine’s through my Granddad who was cared for at the hospice in July 2009. He was only cared here for a week but the amount of care and consideration that St Catherine’s Hospice gave him and my family during that short time was amazing. I’ve always been connected to the hospice ever since, through the Tree of Light and the Midnight Walk as well as many other things. Although Granddad was only here for a week St Catherine’s did a lot for him, which had and has continued to have a massive impact on my family Whilst he was staying at the hospice his dog, Zena, who was like his best friend, was allowed to visit which was a great thing and something we didn’t expect the hospice to allow us to do. My family were also able to stay over a few nights so they could be close to Granddad in his last days. The team gave us such an amazing welcome and were really there for all of us during a really hard time. Granddad had lung cancer, unfortunately, and his illness was a really, really difficult time, but the hospice’s door was always open to us even after he’d passed away. Coming back to St Catherine’s has given me little flashbacks and memories of the times I spent here with Granddad even though many years have passed. The staff were constantly making my family and my Granddad cups of tea because we’re all obsessed with tea, and when I look out at the garden I remember that’s where me and my Dad went when my Granddad was here. It’s a really nice place to be. It’s calming and relaxing. The whole hospice itself is just a really welcoming and warm environment to be in. Everybody needs end of life support and help and if we all work together we can help as many people as possible. Granddad was happy here so I think many other people would be too. It really upsets me that St Catherine’s can only care for one in three people because in my opinion, it’s a great place to end your life. The fact that only one in three people can be cared for is upsetting because I think everybody deserves that amazing end to their life and to make their death as good as it can be. To find out more about how you can also take part in our events, please visit our Events Page.